Staying on track with your healthy diet is easy when you’re just at home, where you can control what you cook for dinner. But it’s not always like that. Americans love to eat out. In fact, an article on CNBC says that 90% of Americans dislike cooking, and the average household spends around $3,008 per year on dining out. 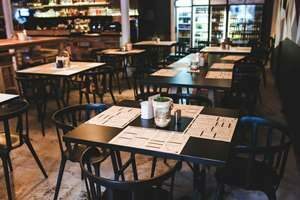 Aside from it costing a lot of money, it can also cause a toll to your health if you’re not making healthier food choices when you are dining out. That said, here are a few helpful tips to eat healthy when you’re out at restaurants while still enjoying your food… Who says healthy food has to be restrictive and tasteless? Don’t go to the restaurant hungry. Obviously, you’re going to the restaurant because you want to. But showing up to the restaurant with your stomach growling will just result to bad impulse decisions. Eating before dining out sounds ridiculous but a light healthy snack like a fruit or trail mix before you head to the restaurant can help you resist the temptation to order what you are craving for (which is always unhealthy) or devour all the unhealthy food set out in front of you. Check out the menu before going to the restaurant. Thanks to the internet, you can now easily check out restaurant menus online. This is a great way to come up with a game plan on what to eat, as well as help you find a restaurant that serve healthier options. Ask the server how the meals are cooked and prepared. Don’t go by the menu because “lite”, “fat free”, “cholesterol free” and “sugar free” aren’t sometimes what they claim it to be. Most of the time, it’s just a way to catch the customer’s attention. Stick to proteins and vegetables. Whether it’s opting for veggies for your sides or picking an entree with lots of veggies, these two food categories are the healthiest. Make sure to avoid heavy sauces and be keen in choosing how meats and veggies are prepared. Ask for grilled, baked or steamed instead of fried. And remember, salads aren’t always the “healthiest” food choice. This is actually a tricky department because some salads have dressings and add-ons that contain a crazy amount of calories. When ordering a salad, go for simple dressings like vinaigrette or avocado-based dressings. Avoid adding croutons, dried sugary fruits and the like. Skip the sugary drinks like fruit shakes, sodas and some cocktails. But if you’re not into the good old plain water, you can go for the fruit infused kind, fresh juices, black coffee or tea. Skip the dessert too. I know, I know. That is so hard to refuse. But if you really can’t resist, just order a fruit bowl or plain frozen yogurt. These can still satisfy your sweet tooth while keeping it low on the calories. Most of the time, one restaurant serving can already feed two people. Ask the server to put away half of the portion for you to take home before you start your meal. That way, you won’t get tempted to eat the full serving even if you’re already full. See, you can still eat clean while dining out. It all boils down to your willingness and self-control. Good luck!